Madhavi Latha is a Professor of Civil Engineering at Indian Institute of Science. She holds a PhD in Civil Engineering from IIT Madras, MTech degree from NIT Warangal and a bachelor's degree in Civil Engineering from JNT University, Kakinada. Before coming to IISc, Madhavi was an Assistant Professor at IIT Guwahati for a year (2003-2004). She worked as a postdoctoral researcher at IISc from 2002-2003. Madhavi's research interests center around fundamental aspects of soil and ground reinforcement. This has entailed studying basic friction characteristics between soils and reinforcement, understanding the strength of improved ground and shear mechanisms at a micro level. Madhavi's recent work on this subject area is to use image based techniques to understand the micro topographical surface changes in geosynthetics sheared by sands and relating them to stress-displacement response of sand-geosynthetic interfaces. Several topics explored in the area of soil reinforcement include strength and stiffness of geocell reinforced soils; model tests on geosynthetic reinforced foundation beds, retaining walls and slopes; cyclic load response of geosynthetic reinforced road aggregates; seismic response of rigid, wrap-faced, modular block faced and geocell retaining walls through shaking table studies. 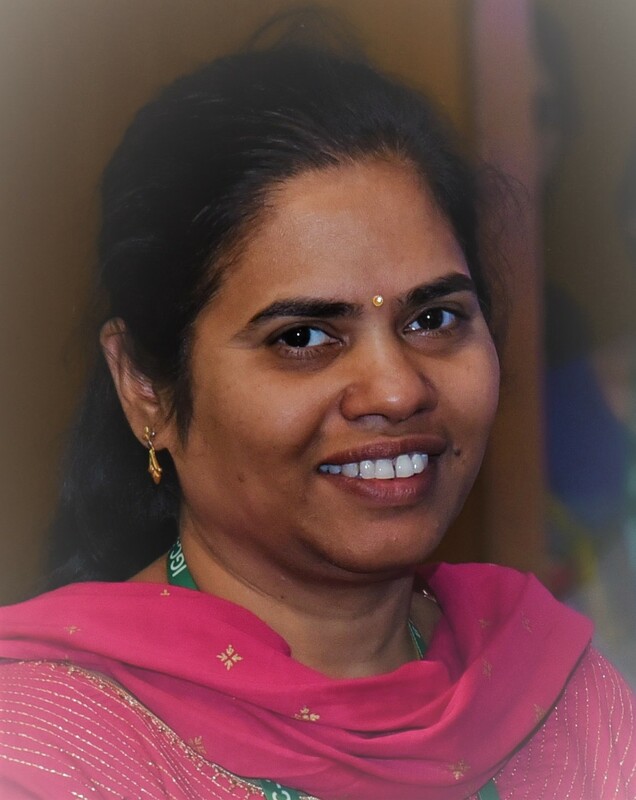 Madhavi also maintains an active interest in many topics in rock engineering, including numerical modelling of jointed rock masses, stability analysis of rock slopes, and rock slope reinforcement. Vangla, P. and Latha, G.M. (2015)"Influence of Particle Size on the Friction and Interfacial Shear Strength of Sands of Similar Morphology", International Journal of Geosynthetics and Ground Engineering, Vol. 1(6), pp. 1-12. Vangla, P. and Latha, G.M. (2014)"Image segmentation technique to analyze deformation profiles in different direct shear tests", Geotechnical Testing Journal, ASTM, Vol. 37, No. 5, pp. GTJ20130138: 1-12, DOI: 10.1520/GTJ20130138. Editor-in-chief, Indian Geotechnical Journal, Springer. Nominated member of TC207: Technical Committee on Soil-Structure Interaction and Retaining Walls, International Society of Soil Mechanics and Geotechnical Engineering (2010 on wards). "Teacher Extraordinaire" award by Builders Association of India, Mysore Centre, 2007.